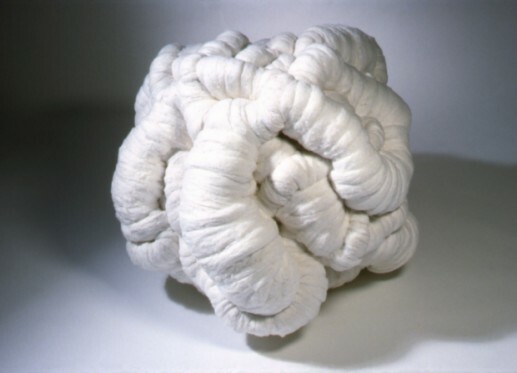 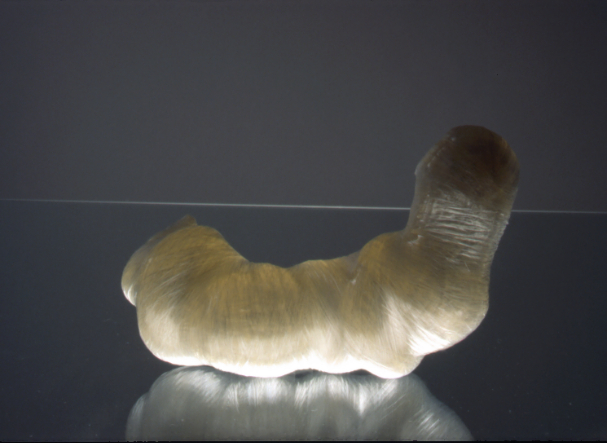 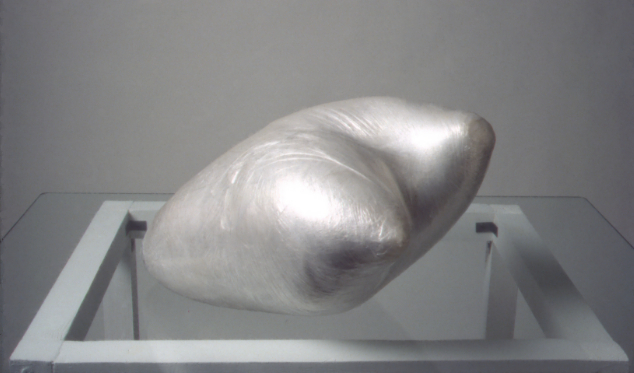 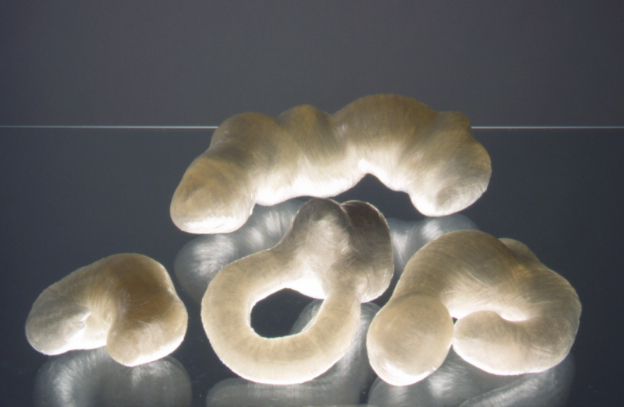 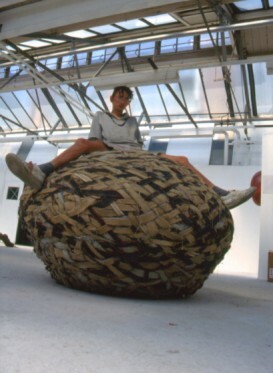 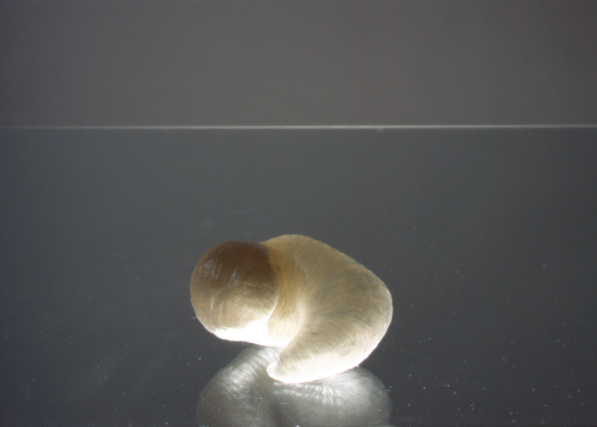 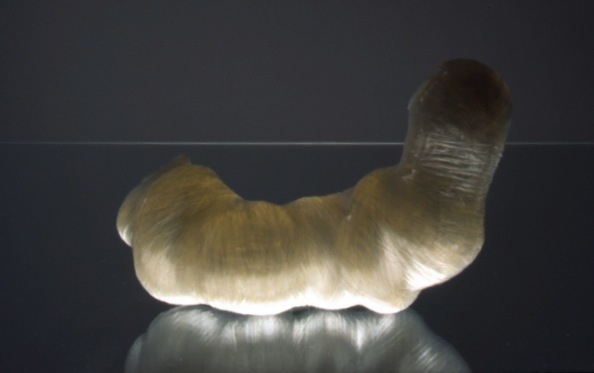 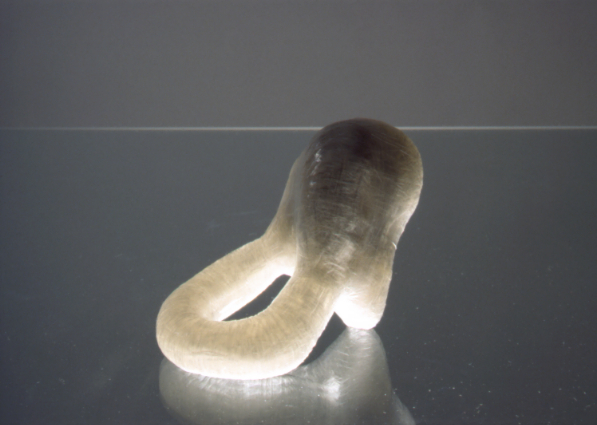 The ‘Mono-Material’ sculptures (1993 – 1995) are inspired by growth processes of plants and animals. 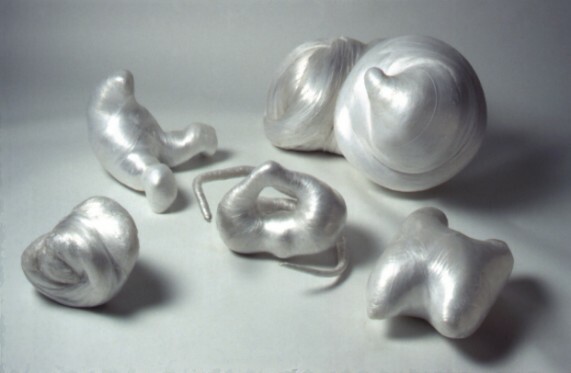 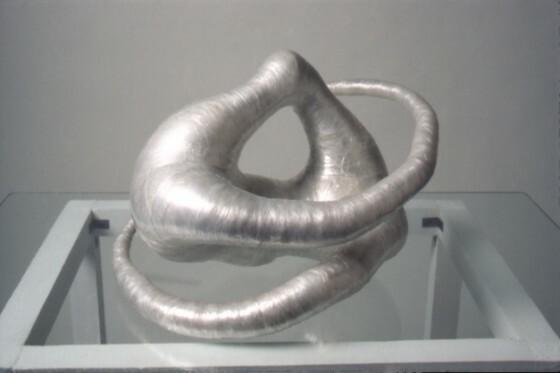 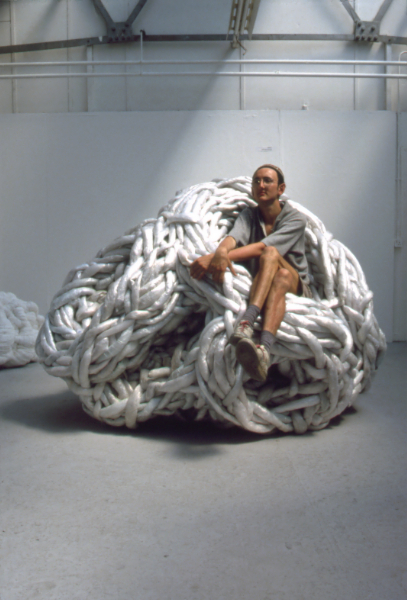 Each sculpture is created from a single material without the use of an internal armature. 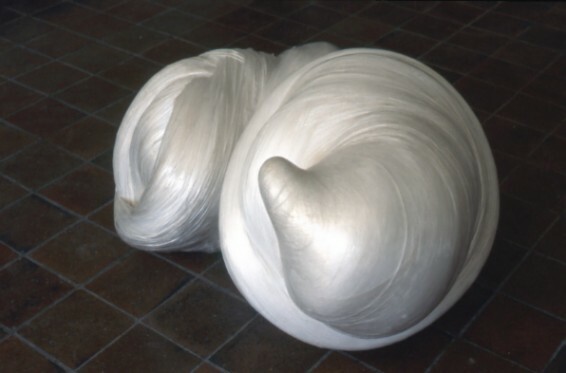 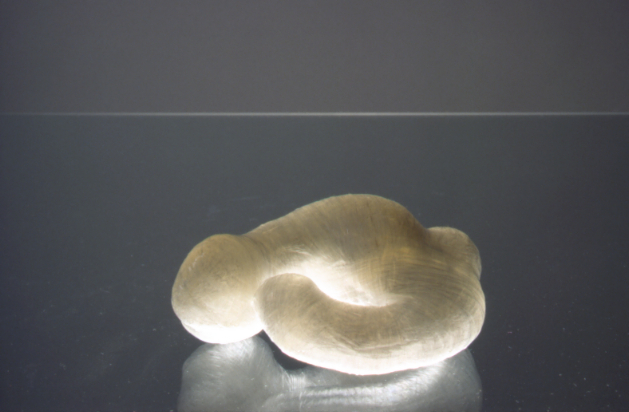 Developed organically by a wrapping process that arises from its material qualities each sculpture is built up in layers until the moment of ‘birth’. 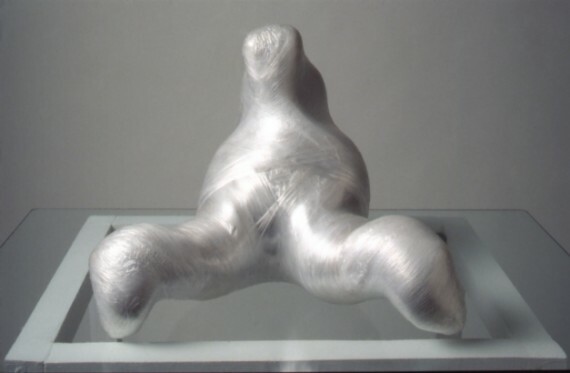 At birth they are considered to be fully-grown reflecting the dimensions of their parent with their material subverted and transformed.